AIRMATICS, a simple cloud-based air compressor monitoring, performance and control solution that provides real time data, analytics and insights at the push of a button, has been launched by global compressor management specialist, CMC. 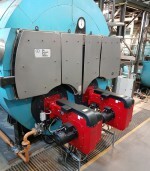 Burner manufacturer EOGB ENERGY PRODUCTS has announced it has launched a new service to design, develop and integrate bespoke burner controls for commercial heating systems and industrial processes. ABB reports it has launched a Lunch ‘n’ Learn training session that shows how water companies can use variable speed drives (VSDs) to make dramatic improvements in their leakage rates. Of the 366,000 sewer blockages occurring in the UK around 80% are caused by the presence of ‘non-flushable’ items and the biggest offender is said to be wet-wipes. If you’ve just set up a new business, or your business has been around for a while, managing how to get rid of industry waste, can always be a challenge. Can plastic be environmentally friendly? As landfills grow and global warming continues, it’s easy to point the finger when it comes to what is damaging the environment. Alongside gas-guzzling motors, plastic has been a target for many years now — but is it really as bad as it’s perceived? As part of a recently completed £1.5million project to refurbish the historic Ross Fountain in Edinburgh, WINN & COALES (DENSO) reports it supplied Densostrip and Densostrip Primer to provide a permanently watertight seal between precast concrete units. 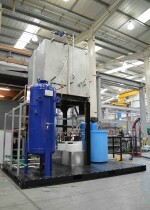 The claims made by vertical steam boiler manufacturers are easy to get excited about, especially at a time when stringent industry and environmental standards – such as the MCPD and London’s Air Quality Strategy – are making the headlines. FULTON’S Carl Knight takes a closer look. An aging water main located near Irvine, Ayrshire, was identified by Scottish Water as needing replacement in 2017. A WINN & COALES DENSO P1 Specification System was selected for the protection of various ductile iron fittings on the project as a result of its products meeting the requirements of the CESWI P1 Specification. NORTEK reports that warm air, radiant and heating products are now affected by European Regulations. The company says its ABX range of industrial air curtains are ideal for exceptionally high doors and are the perfect complement to its ErP compliant heating appliances. NORTEK reports that warm air, radiant and heating products are now affected by European Regulations. 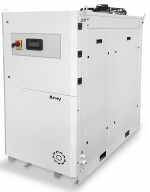 The company says its ErP compliant range includes, RTU (packaged heat pump air handlers), the RTU series is a range of packaged direct expansion (DX) Air Source Heat Pumps and Air Conditioning units showing compelling performance under EN 14511:2013 and EN 14825:2016 standards and these are equipped with EC Plug fan technology and free-cooling as standard. FULTON reports that the list of applications for high quality, dry steam is almost endless. However, while many steam boilers are extremely robust, they are often inefficient because they are based on old or ageing technology. In an effort to make them more efficient, many manufacturers simply fit modulating burners and bolt on economisers in an attempt to improve both steam output and efficiency, but this often isn’t enough. The September deadline for the ErP Directive for Warm Air Heaters 2018 (Lot 21), is fast approaching. New legislation has changed the way that the seasonal efficiency of heating equipment is calculated. Danny Packham, European product manager – warm air and radiant, from NORTEK GLOBAL HVAC, outlines the key points. LAMTEC says its CMS Combustion Management System is now available and based on an innovative modular architecture the CMS offers the most flexibility on the market allowing users to meet the most demanding combustion applications. NORTEK reports that warm air, radiant and heating products are now affected by European Regulations. Warm air heaters are subject to Lot 21 of the directive and radiant heaters Lot 20. Minimum efficiencies for warm air is now 72% and radiant heaters is now 74%. Crucially, these minimum criteria are applicable for both new installations and when replacing existing products. As a result, Nortek says customers can be assured that the heating equipment they are purchasing is highly energy efficient and emissions of harmful environmental pollutants are constrained. Plastic: is it ever environmentally friendly? As global temperatures rise and carbon emissions continually damage the planet, it can be easy to see all the things that damage our planet. Whether it’s a thirsty diesel tank, or a shopping bag, plastic can be seen as a significant contributor to global warming – but is it as bad as people think? NORTEK reports that warm air, radiant and heating products are now affected by European Regulations and says warm air heaters are subject to Lot 21 of the directive and radiant heaters Lot 20. Minimum efficiencies for warm air is now 72% and radiant heaters is now 74%. Crucially, these minimum criteria are applicable for both new installations and when replacing existing products. As a result the company says, customers can be assured that the heating equipment they are purchasing is highly energy efficient and emissions of harmful environmental pollutants are constrained. 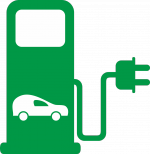 JBC, a leading UK Industrial aftercare provider, says it offers customers proven and tested methods of reducing consumption of fuel, providing considerable savings on the annual fuel bill, not to mention a reduced carbon footprint. The company says Oilon burners are designed with consideration given to economic and ecological factors for complete reliability and low emission levels and its Ecosafe Digital combustion controls replace old mechanical burners with an extremely accurate electronic system. BOLLFILTER UK says after 10 years of carefully consulting with water treatment and sewage plant operators, followed by 5 years of intensive product development, rigorous testing, patenting and finally global certification by 40 classification societies, it can proudly present the aquaBoll. CASELLA, an air sampling, noise and vibration monitoring specialist reports it has introduced the Flow Detective air sampling pump calibrator and says the product is the first in the industry with the ability to measure pulsation, with a 70-hour battery life; the longest on the market and double the duration of competitive products. An unusual demolition project on the banks of the River Thames has reportedly been completed safely and successfully, thanks to a bespoke scaffolding solution provided by SGB. The company says it created a highly unusual scaffolding system, part of which was regularly covered by the river water during the demolition process. RITTAL says its Blue e+ cooling units are acknowledged as the most efficient of their kind on the market and independent tests have shown they are 75% more energy efficient than previous cooling solutions. On the back of this success, the company says it is now extending the Blue e+ range and the new unit to be launched in the first quarter of 2018 will provide an output class as low as 1.6 kW, extending the existing range of between 2 to 6kW. Is it time for construction to go green? Much of the construction sector and many industries throughout the western world depend upon cheap crude oil for use within their manufacturing processes and the machines they use to implement these processes. What is striking is that within the UK, construction accounts for approximately 50% of all carbon emissions produced by machinery and production. PREGIS says it will be showcasing its world class suite of Easypack environmentally friendly packaging solutions at this year’s Packaging Innovations and eDelivery Expo shows taking place at the NEC in February and March 2018. The company says the award-winning Easypack range of high quality, in-the-box packaging systems produce 100% recycled, 100% recyclable and 100% biodegradable paper cushions, suitable for protecting and securing all kinds of goods-in-transit from breakables through to heavy engineered products. NORTEK reports that warm air, radiant and heating products are now affected by European Regulations and says its ErP compliant range includes, RTU (packaged heat pump air handlers), the RTU series is a range of packaged direct expansion (DX) air source heat pumps and air conditioning units showing compelling performance under EN 14511:2013 and EN 14825:2016 standards and are equipped with EC Plug fan technology and free-cooling as standard. US packaging giant, PREGIS, has announced it is expanding its global operations across Europe following its 2016 acquisition of a leading UK environmentally friendly packaging brand, Easypack. The company says over the last two years, Easypack has strengthened its entire operations in preparation for European growth, and from January 2018 the company will trade as Pregis Limited. Nortek reports that warm air, radiant and heating products are now affected by European Regulations, warm air heaters are subject to Lot 21 of the directive and radiant heaters Lot 20, minimum efficiencies for warm air is now 72% and radiant heaters is now 74%. Nortek says crucially, these minimum criteria are applicable for both new installations and when replacing existing products and as a result, customers can be assured that the heating equipment they are purchasing is highly energy efficient and emissions of harmful environmental pollutants are constrained. Are the Big Six energy companies losing their grip on the market? With around 80% of the UK’s households (not to mention scores of businesses) powered by it, mains-supplied natural gas is an integral fuel to the UK’s energy mix. The result is continued high demand, and a busy, competitive market for both domestic and commercial mains gas. As part of its commitment to reducing greenhouse gas emissions on a national scale, the Government has launched the Clean Growth Strategy – outlining its proposed approach to building a lower-carbon future for the UK. A climate protection organisation with a focus on travel, atmosfair, has received a donation of €5,000 from Sunfire after the latter company was appointed winner of the 2017 Kanthal Award. ADVANCED VALVES SOLUTIONS (AVS) was established in 1998 to provide solutions to the Power Generation Industry when excessive wear, thermal cracking and stressing became a major problem – resulting in millions of pounds in lost revenue. AVS says it takes its industry knowledge and actively shares it with key customers and end users to create a detailed understanding of cause and effect in power generation. Following a fault at a unit in American Pan UK’s original process line; solvent used for the cleaning process overheated and ignited, with the subsequent fire spreading throughout the facility. While initially devastating, it provided an opportunity for American Pan and RE Architects to completely re-think operations and re-design process lines. VEOLIA WATER TECHNOLOGIES UK reports it has launched four new Rapide Strata short cycle regeneration deionisers, offering flow rates from 2.5 to 60 m3/hr and says the extended range provides users with greater choice around flow quantities and more compact solutions. NORTEK says there can be no doubt about it – radiant tube is the acknowledged leader when it comes to heating large multi-use sports hall, whichever way you look at it – comfort levels, economy, ease of maintenance, safety – overhead radiant systems are so far ahead of the competition that they can’t see it for dust and the company says why, then does anyone consider specifying underfloor heating for sports halls? VEOLIA WATER TECHNOLOGIES reports it has released six new models in its SIRION Mega range of reverse osmosis systems. Developed for pure water production and water re-use applications for industrial markets, the extended range offers higher flow rates to meet the needs of companies with large purified water demands – from 5 to 139 m3/h – for use in boiler feeds, cooling water, re-use/recycling and other industrial processes. A prize of €5,000 is to be awarded in Stockholm, Sweden, on October 4 as three companies pitch innovations in heating technology. For the third year running, the KANTHAL Award will be presented to recognise innovations that contribute to a more sustainable future, quality of life, energy efficiency, and which advance the field of heating technology. There are reportedly only two common pump types that purport to guarantee a fixed delivery volume over time and against varying back pressures… reciprocating diaphragm pumps and plunger pumps. FORTIS BATTERY CARE reports it has appointed Leigh Mason to the position of sales and marketing director. Leigh joins Fortis directly from the Nilfisk Group where he held the position of sales director for 8 years. The installation of a ten panel Solar array featuring STOKVIS ENERGY SYSTEMS solar collectors, to serve existing facilities at Birmingham International Rail Station, is being assessed as a potential pilot for a wider roll out of renewable energy across the facilities operated by Network Rail and Virgin Trains nationally. The company says the project at Birmingham International was jointly commissioned by Network Rail and Virgin Trains, with renewables specialist ECO2SOLAR carrying out the installation of the Stokvis solar equipment.